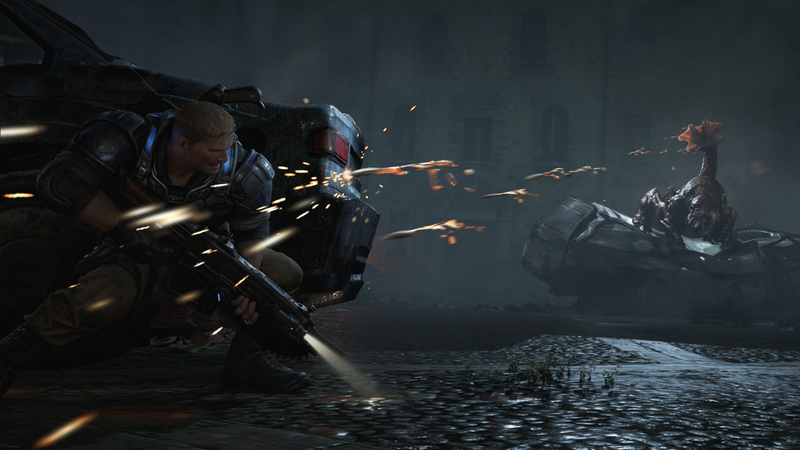 The E3 2015 showing of Gears of War 4 was not the usual spectacle the series became known for. That’s because the game is a bit different from previous iterations. Gears of War 4 will be a more personal and intimate story, according to The Coalition’s Rod Fergusson. “We always thought of it as a tease. People expected a flash of logo and a Marcus poem, and we wanted to overshoot that. Why not do a tease that speaks to the mood and the tone of the game?” Fergusson told IGN. The upcoming sequel will bring back the horror and mystery side of Gears. It will be dark game, letting you once again fear “things going bump in the night”. The E3 2015 demo certainly showed that. To tie it all together, the game’s story also won’t retain the black and white nature of the previous games. “Today, people want a lot of grey, a lot moral ambiguity, things that are open to interpretation about what’s right and wrong,” added Fergusson. Gears of War 4 is out in 2016 on Xbox One.